SPRINGBOK Johnny was the penalty king scoring an amazing 65 out of 68 kicks during his Rangers career – and he didn’t even practice them! A little wide player with bags of talent he scored a total of 106 goals which was a fabulous return for a winger. He was in the first Rangers team that played in Europe. The Ibrox men took part in what was only the second European Champions Cup in season 1956/57 by virtue of winning the Scottish title the season before. They were paired with French champions OGC Nice and a crowd of 65,000 watched Rangers beat them 2-1 at Ibrox in their inaugural European match with Maxie Murray and Billy Simpson scoring the goals. Only 5,000 people watched the return leg on the Riviera but Nice managed to produce the same scoreline. 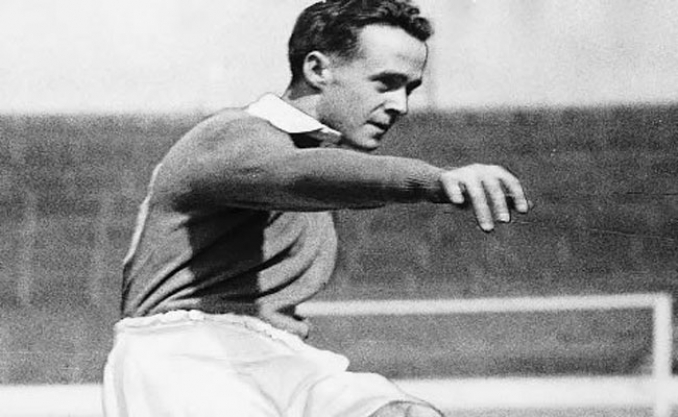 It was South African star Hubbard who made history that night by becoming the first Rangers player to score on foreign soil. The Light Blues won a penalty five minutes before half time when Murray was brought down and quite naturally Hubbard was given the responsibility. Remarkably, he scored with 65 out of 68 penalties during his Rangers career! In total, Johnny scored 106 goals in 238 appearances which is fabulous return for a wide player. He also holds the proud record of being the last Ranger to hit a league hat-trick against Celtic in a 4-1 win on January 1, 1955.